The mission of the Bishop’s Scholarship Fund is to help families afford a Catholic Education. In this past year, the BSF awarded over $2,500,000 in aid to families at the Diocesan elementary schools in Fairfield County. 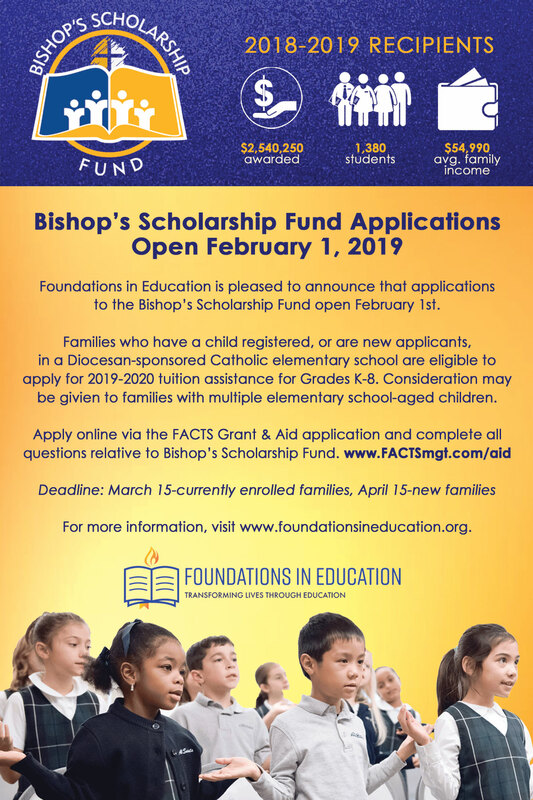 All families who have a child or children registered, or are new applicants, in a Diocesan-sponsored Catholic elementary school in Fairfield County (Grades K -8) and are in financial need of tuition assistance are encouraged to apply through FACTS online, www.FACTSmgt.com/aid. Consideration may be given to families with multiple elementary school-aged children. Applications are evaluated and determinations made by the Bishop’s Scholarship Fund Committee. Awardees’ families are notified through FACTS and scholarship distributions are made directly to the school on behalf of the successful scholarship applicant. Applications open February 1. The deadline to apply is March 15 for returning families and April 15 for new families. 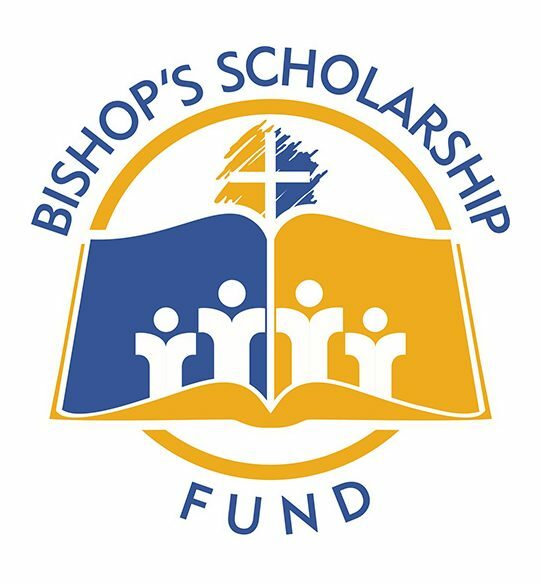 Click here for our Bishop’s Scholarship Fund brochure. Leaders of Tomorrow is a select program of the Bishop’s Scholarship Fund. Leaders of Tomorrow represent students from elementary schools across the Diocese of Bridgeport. They are students with a demonstrated need, who have applied to the Bishop Scholarship Fund and who have been identified by their principal as students of good academics, character and leadership potential. Donors to Leaders of Tomorrow help subsidize the cost of a Catholic elementary school tuition for one or more students by providing for each child’s tuition up to $5,000 per year, half at $2,500 per year, or a quarter at $1,250 per year. As an investor in the education of a child, these special donors provide a life-enhancing gift and help transform the life of a student as well as their own through the gracious and selfless act of giving. Click here for our Leaders of Tomorrow brochure. 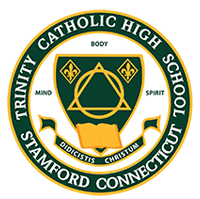 Mary Alice and Thomas O’Malley, longtime Greenwich residents, have committed $500,000 to Foundations in Education over the next five years to establish The Mary Alice and Thomas O’Malley Scholarship for children of current police officers, firefighters and nurses, attending Trinity Catholic High School in Stamford. The O’Malley gift is the first of its kind for Foundations in Education. Students and prospective students who have at least one parent who has worked for a minimum of one year as a Greenwich or Stamford firefighter or police officer, or as a nurse at either Greenwich or Stamford Hospital, are eligible to apply. The grant, which covers 80% of tuition beginning with the 2019/20 academic year, is contingent upon students maintaining a strong academic performance. Tuition assistance is based on available funding each year. Click here for The Mary Alice and Thomas O’Malley Scholarship flyer. Click here to apply.